Ready to Get-In2 some serious bargain shopping? Finally an online shopping center for savvy Web shoppers showcasing the top bargains from trusted merchants, who offer clearance pricing. It's simple: Select a merchant and their entire e-catalog opens up on this same page! Use the SEARCH BOX to display comparison shopping items from all the stores or browse and search a specific merchant's eCatalog. Daily deals and coupons can also be displayed for every Merchant listed by selecting the merchant and then hitting their coupons and promotions link. Select the shopping link to return to main display of merchant choices. Getting In2 it? Simply Click this link to restart your window shopping session. If you wish to save money and time finding "real bargains" from established vendors ... then this is the place to shop. In our long history we have never heard a single consumer complaint about not receiving a product or a refund from our selected merchants. Never any PopUps... complete privacy.. no spam.. and real value at the end of every click! Fine Jewelry Discount Watches Golf Pro Shop Sporting Goods Bicycle Shop Automotive Shop Shoes & Boot Shop The Kitchen Shop. Handcrafted artisan products Discount Furniture Computer & Electronics Closeouts Coupons & Daily Deals **UrbanScooters** Get-in2 Musclecars Discount Pet Shop Overstocks & Closeouts Holiday Christmas Shopping Hewlett Packard Closeouts TigerDirect Daily Liquidation deals! Apple MAC iPod shop Gaming Shop Discounted Flat Screen HD monitors and setup guide. Click the above link to browse through the over 75 sections of our Cybermall, famous since 1996. Be sure to bookmark this site that takes e-commerce to the next level. Our mission: Offer True value at the end of every click rather then wasting your efforts filtering through advertising white noise on general search engines. Top Grade leather braided (3/4" wide) and belt strap style suspender braces arenow available from Holdup Suspender Company's Amazon web shop brass buckle length adjusters. After years of testing designs and leather strapping materials Holdup Suspender Company now offers Top Grade USA black or brown leathers, The USA made matching color back-strap, logo embossed Y-back crosspatch and our unique USA patented no-slip suspender clips in powder black finish make these the perfect leather suspender braces for the modern day man. We guarantee these Holdup brand Double-Up Leather Series suspenders are the best money can buy and sure to get you noticed.. Simple Amazon web shop interfce here has a secure Amazon account checkout and free freight from Amazon warehouses for all Amazon members. Who said suspenders weren't fashionable? Try on a pair of Holdup's and change your outfit's look! with just the snap of a patented Holdup suspender clip. Button-on traditional look in men's braces... Checkout the other Styles and color choices in our dual clip Double-Ups lines below. Casual Series Double-Ups... This dual clip style, we call Double-Ups, mirrors the look of "button on" suspenders worn since they were first invented in 1886. Sal Herman, the President of Holdup Suspender, worked for years to perfect these stunning solid color suspender braces popular with TV anchormen -actors -doctors -businessmen -students and professors. By eliminating the custom tailoring requirement to sew suspender buttons on to every pair of pants you want to wear with suspenders ...now you can easily attach your Double-Ups™ to your entire wardrobe of pants in a snap of our Patented no-slip metal clips. Get the aesthetic look of "Old Style button-on" braces with the convenience and ease of our no-slip clips that attach at the top of your pant waistband. These are just as great with blue jeans, slacks or dress pants for both a casual or dressy look. "The Suspender KINGS" ... Larry King (City Lights Double-Up) and Sal Herman (Black Leather Straps) ... show off their Designer Double-Ups and Leather Holdups, which can be purchased here... We have USA made brown and black braided and Belt strap style leather suspender braces that sell for $59.95. See all of Larry King's Favorite Holdup Suspenders on the official Larry King Holdup Suspender page. 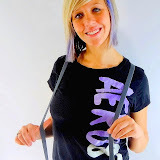 TOTALLY UNIQUE -Undergarment Suspenders: Something entirely new in men's and women's suspenders we trademarked as Under-Ups™. Invisible Undergarment Suspenders for the customer who prefers to wear their Holdup's under a shirt with shorts or light weight pants and even maternity outfits. These super comfortable suspenders are made to be worn out of sight for those not needing to tuck in their shirts. You can also wear them hidden under your sweaters during the colder month with a turtleneck. The super soft poly-blend washable elastic fabric is 1-1/2" wide and adjusts to 48" long in the normal length and to 54" in the XL version. The new Velcro type Flush length Adjustment system is (patent # 8,209,779 ) used in all our Under-Up suspenders to look smooth and feel comfortable when wearing these suspenders under your shirt. Now available XL (eXtra Long) option which has a max adjustable length to 54" inches for the big and tall man. Our loyal customers asked for tasteful striped Holdups and we now have the in stock. Several choices in Navy Blue stripes with Khaki and Gray and red accent bands. We also offer single jacquard weave stripes in 5 tone on tone colors for office and casual daily wear with choices in single no-slip clips or dual clip Double-Up style... Click here to view our new striped Holdup suspenders. Jacquard Pattern color Directory ..click for complete detail page on individual jacquard weave colors and to purchase these exclusive Jacquard Double-Ups™ for $39.95 ea. Click jacquard weave pattern swatch below. Holdup repeat Customers love the distinctive patterns and weaves of the USA made Holdup Suspender designer and jacquard series of premium grade pant suspender with black Leather crosspatch. Holdup Suspender Company presents the Double-Ups™ Designer Series in all the above patterns featuring the traditional "button-on" look with the convenience of our improved patented no-slip suspender clip. Buy with confidence from these featured computer distributors at the Get-in2.com PcSHOPS Mall. In 15 years we have never received a single complaint for our shoppers stating they didn't get what they ordered... or that a vendor showcased here didn't follow-up on returns and support issues. Get-In2 every version of the iPod MP3 player system now available from J&R or TigerDirect. Discounted models for J&R: The iPod Touch , iPod Classic , iPod Nano , and iPod Shuffle are all in-stock ready for online secure purchasing. It also contains a vast array of accessories & compatible devices. iPod Clock Radios, iPod Docks, iPod Speakers, iPod Cases, iPod Screen Protectors...you name it. If it covers, connects to, or works with an Apple iPod; you'll find it here. Trade In, Trade Up to Certified Preowned Callaway Golf Clubs and save some money on the best name brand clubs in the Golf World! save some bucks...Click here The Trade In! Trade Up! program offers current Callaway Golf customers the ability to trade used Callaway Golf clubs for Certified Pre-Owned clubs at Callaway Golf Pre-Owned or for new Callaway Golf clubs at Callaway Golf authorized retailers...Callaway Golf Pre-Owned pays cash for your used Callaway Golf clubs. Looking for a manufacturing agent who specializes in cost savings for all types of compression and injection molded products? GYS Sales Corp can assist you in finding the perfect manufacturing partner. As your manufacturing agent we can take your product idea from an engineering study and Prototype building project right through short or long production runs using existing manufacturing plant machinery and product finishing services in various North American manufacturing facilities. Let IMS webmaster Mike make you a site! !